Here’s a wrap-up of the 2018 season for the eight ATP Finals singles players. 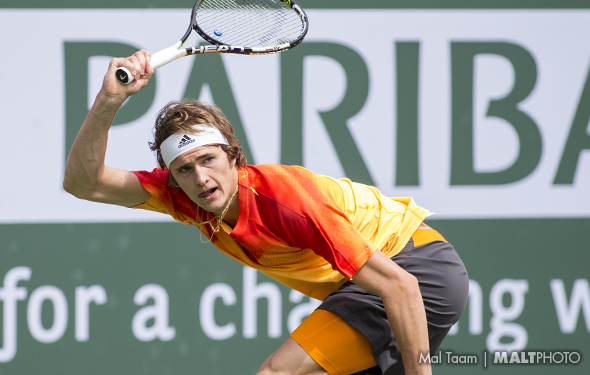 From August all the way through November, Zverev played well at times, but mostly mediocre. But last week in London, Zverev stood up tall, stunning Novak Djokovic 6-4, 6-3 to win the title. He was so locked in, so good, smashing his serves, his forehand and backhand and also being patient. The 21-year-old won Munich, the ATP 1000 Madrid, Washington and now, London. “I’m unbelievably happy, obviously it’s the biggest title that I’ve ever won,” said Zverev. And how. This year, he beat eight Top 10ers. On Saturday and Sunday, he overcame Roger Federer and Djokovic. That is almost impossible to do. The No. 4 Zverev has yet to go very deep in the Slams, but in 2019, he will be very confident and stoical. The 14-time Grand Slam champion Djokovic has had a terrific second half of the year, winning Wimbledon, Cincy, the US Open, and Shanghai. On Sunday, he had only lost twice since June, to Stefanos Tsitsipas in Toronto, and Karen Khachanovin in Paris. It looked like he was almost invincible. But in the final, he played OK, didn’t serve well during the second set, and he didn’t return with his usual tour-topping skill. However, you cannot win every week; it is going to happen, once in a while. Djokovic will stay as the No. 1 at the start of 2019, but the most important thing for him is to keep on churning. The South African/American looked terrific, winning two matches against Nishikori and Thiem to start, but then the tide turned, and he lost easily to Federer and Djokovic. Yes, he had a fine year, winning two small events and he reached the final at Wimbledon. Can Anderson win a major in 2019? Hard to say. He has improved his backhand and speed, but the tall man is still a little bit slow. However, if he can return better, then maybe he can raise the Slam trophy in 2019. Maybe. There are days when you think that he is playing so clean, so smart, and so intense. But there are also days when inside his head, that he gets frustrated and then he gets mentally down. Yes, he had a very decent year, but for Cilic, unless he gets to No. 1, he is very disappointed. He has won one major title, the 2014 US Open, and he has also reached the final at 2017 Wimbledon, and this year, at the Australian Open. There is no doubt that he will be a force again in 2019. But, to get his second Slam, he has to be steadier and focused at the net. After the Japanese stunned Federer, it looked like he was ready to take down all of them. But he did not, and he flipped out, losing so easily against Anderson and Thiem. Later, he said he had no idea why. That is so true. However, he did play pretty well most of the season, and he wasn’t that hurt at all, which is very good, considering that he had been injured for so many years. Nishikori is very fast, he leaps up into the sky a lot, and he puts the ball away. Can he actually win a Grand Slam someday? That is questionable because in the second week, he eventually gets tired and then starts coughing up the unforced errors. Hopefully, in 2019, he will continue to be healthy. If he does, Nishikori will go deep at some big events. The Austrian has been creative this year. He mixes it up, he will spin it, chop it, and flatten it out. On clay, he was way up there, reaching the final at Roland Garros. But, on the hard courts, while he has improved during 2018, it has taken the 25-year-old a pretty long time to be a force. He is trying, though, he is stuck on the baseline. Maybe, he can push himself forward. He played a few good matches last week. He wasn’t able to reach the semis, but maybe next year in London at the O2, he can grab and actually win it. The American was pretty thrilled that he made it into the ATP Finals, slipping in when Rafael Nadal and Juan Martin del Potro had to withdraw because of another late-year injury. He was excited and he was hopeful. He tried but lost all three of his matches. As he said before it started, there are some amazing players here. So, Isner had a small chance. Unfortunately, he couldn’t raise his game. Without a doubt, he did improve his backhand, and at net game, bending low. Maybe in 2019, Isner can crack the top 5. That would be even more special. 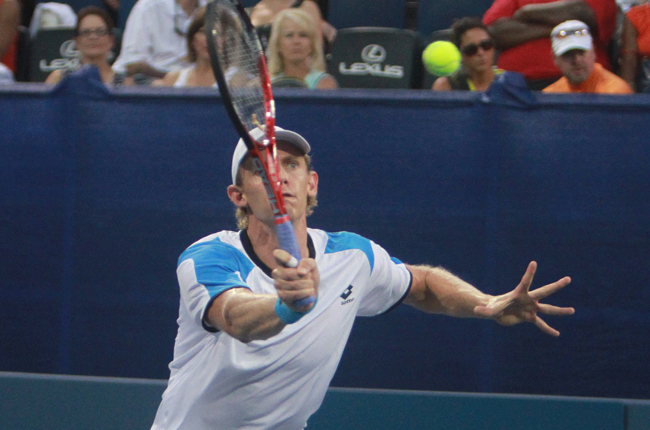 Kevin Anderson has had such a solid year. The 33-year-old veteran has improved his backhand, his speed, and net play. Go back five years and he was struggling mentally, but now, he is pretty calm and directed. On Sunday in the ATP Finals in London, Anderson overcame the Austrian Dominic Thiem 6-3, 7-6(10), attacking the net regularly. Thiem has also improved this year. He was always very good on clay, but he had to understand what he needs to do on hardcourts, which are much faster. However, both of them still have return substantially better, just like Novak Djokovic and Roger Federer do. And today, Nishikori also did it, especially serving. Champions like Djokovic and Federer return well all the time, and that is why they have thousands of break points. Indoors, in London, it is warm and there is no wind, so Anderson can swing out — when he wants to. Maybe the South African can reach the semis, but he has a long way to go. He was nervous, but today, he settled in. At night, Kei Nishikori stunned the 20-time Grand Slam winner Federer 7-6 (4), 6-3. Now that was surprising, not because the Japanese has had a very decent year, but because the Swiss has played in London extremely well over the years, on grass and indoors on hard courts. But in his first match, he was frustrated. “I hope I don’t go on vacation with three losses. Let’s put it that way,” Federer said. And how. So Federer lost, but it is a round-robin, so he can reach the semis, but he has to re-compose. He committed 34 unforced errors, and that is a lot. He does not do it often, but he received a code violation for banging a ball into the crowds. Ouch. Federer won the Australian Open, skipped Roland Garros, and then he was ousted at Wimbledon and the US Open. Recently, he won Basel again, but the 37-year-old might be aging a little more. That is inevitable. He did add that Nishikori had a very good year. At the end of 2017, he was hurt and he couldn’t play. He came back in February and it took him awhile to be comfortable. He is now. Federer will plays Thiem on Tuesday, while Anderson will face Nishikori. Stefanos Tsitsipas won the Next Gen ATP Finals title in Milan over Alex de Minaur. The Greek will crack into the top 10 pretty soon. He is very tall and he just crushed the ball off of both wings. The coach and broadcaster Darren Cahill has stopped coaching Simona Halep. “I’ve decided to take a 12-month break from coaching to be home more for support as our children enter important stages of their lives with the final year of high school, sports and college preparations all becoming more time consuming,” Cahill wrote. Czech Lucie Safarova, who peaked by reaching the 2015 Roland Garros final, will retire at the Australian Open in January. Her body is declining. “I had a great career, but my health doesn’t allow me to continue,” Safarova said. That is too bad, she always hustles and she always smiles, too.